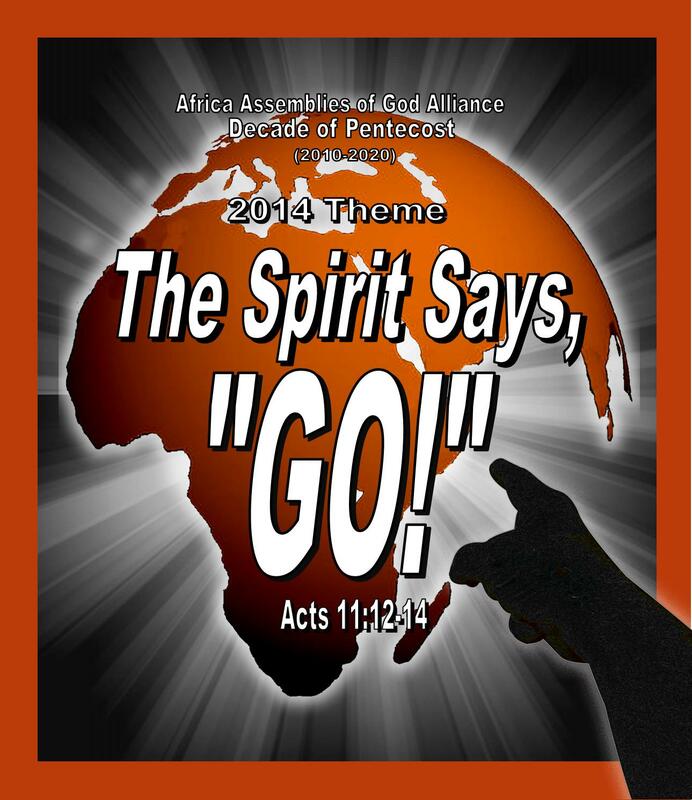 The Decade of Pentecost theme for 2014 is “The Spirit Says, ‘Go!‘” The theme verse is Acts 11:12: “And the Spirit told me to go with them, making no distinction.” It is hoped that this theme will inspire us to be sensitive to the Spirit’s voice as He directs us to reach the lost and plant churches as never before. 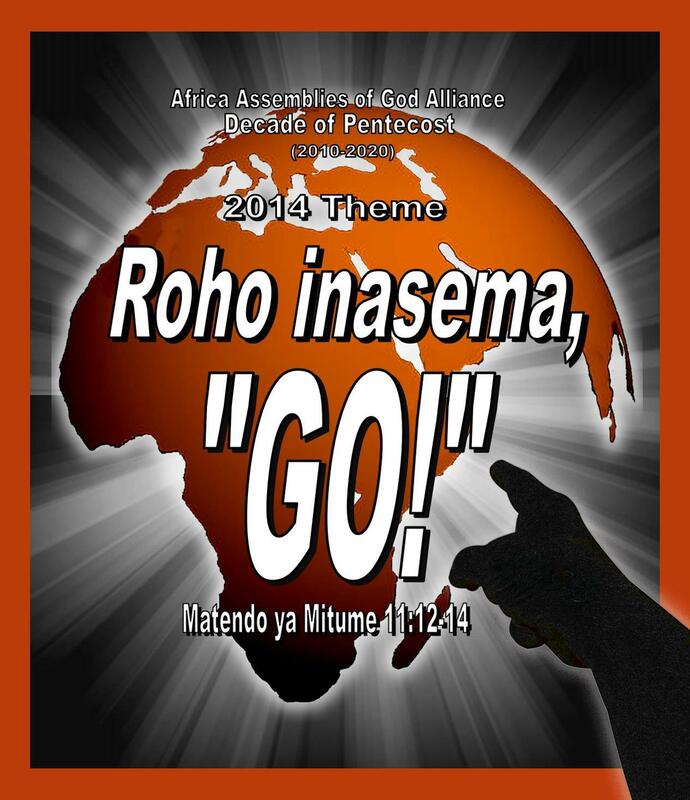 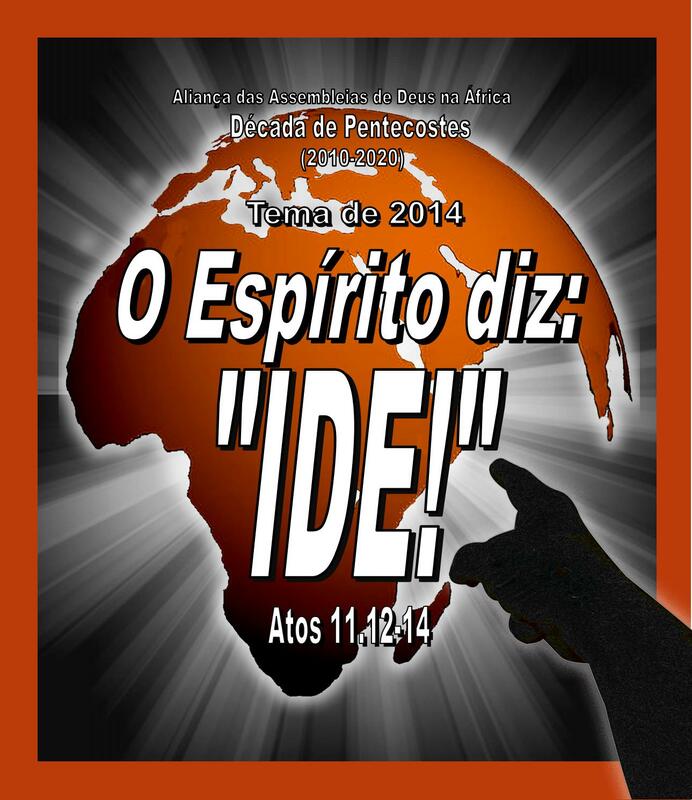 As in the past, on “Day of Pentecost 2014” (8 June 2013), the Africa Assemblies of God is encouraging the pastors of each of its more than 70,000 AAGA-affiliated churches to celebrate Pentecost by preaching a message on the baptism in the Holy Spirit and the Great Commission. 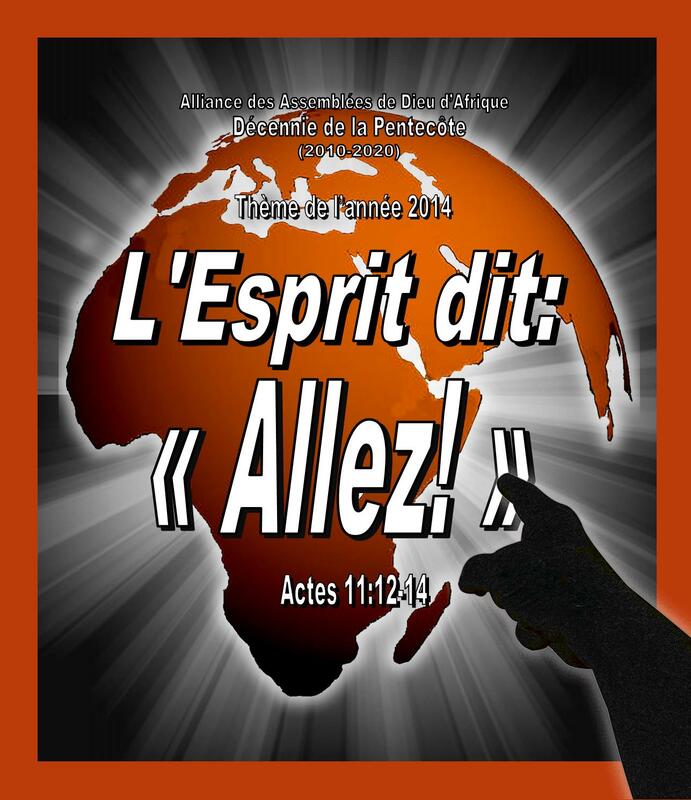 They are then to pray with their people to be filled with the Spirit and empowered as Christ’s witnesses according to Acts 1:8 and 2:4. 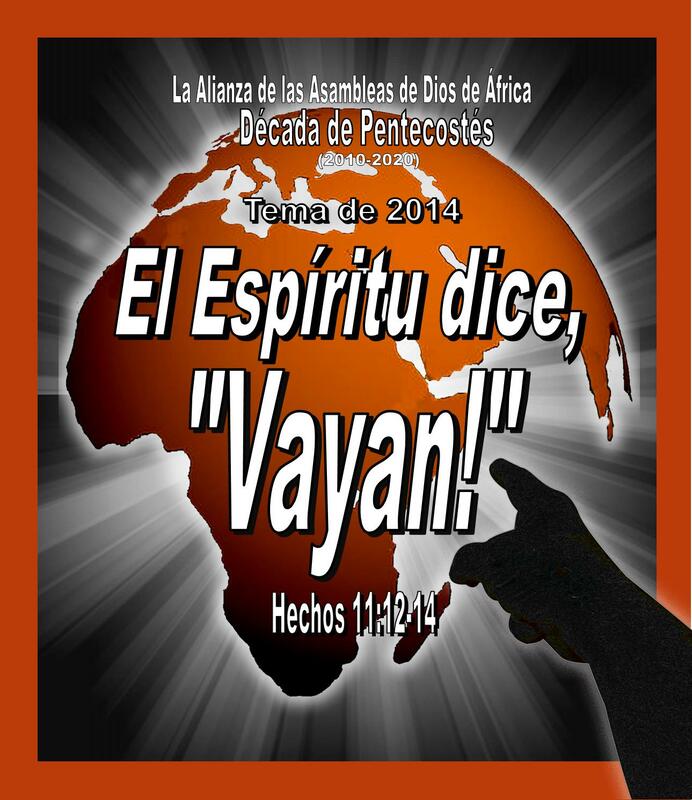 Many of our churches will be celebrating “Pentecost Week 2013” (2-8 June) with a week-long Pentecostal and mission emphasis.